Dee and Griffin pride themselves on supporting local charities across the Gloucestershire area. Gloucester is the home of rugby and we are excited to be able to bring you news regarding rugby in the Gloucestershire area. In 2017 Terry Fanolua had the idea that rugby needed to be more accessible to all children regardless of ability and needs. He successfully brought together the Gloucester Rugby Community Charity department at Gloucester Rugby Club, The Milestone School, the Chamwell Centre and Longlevens Rugby Club. Gloucestershire was missing provisions for disabled children to play rugby in the local area which is how the idea was born. What happened next, was ground-breaking for kids and rugby across Gloucestershire and Dee and Griffin are pleased to say we were involved from the very start. Not only did the school children benefit, the involvement of Longlevens Rugby Club created opportunities for their membership to develop their coaching skillset. Elliot Fortey, a then shy unemployed 19-year-old took the chance to coach for the children’s team which has resulted in him blossoming into a confident and outgoing young man who loves nothing more than blowing his whistle and encouraging the incredible children of The Milestone School. After an initial block of training the course ended with a round robin tournament for the participants. The Gloucestershire branch of the Wooden Spoon charity kindly sponsored specially made t-shirts for the children to wear in their December tournament. Ben Morgan from Gloucester Rugby was on hand for the presentations and was clearly thrilled by the energy and enthusiasm from the youngsters. 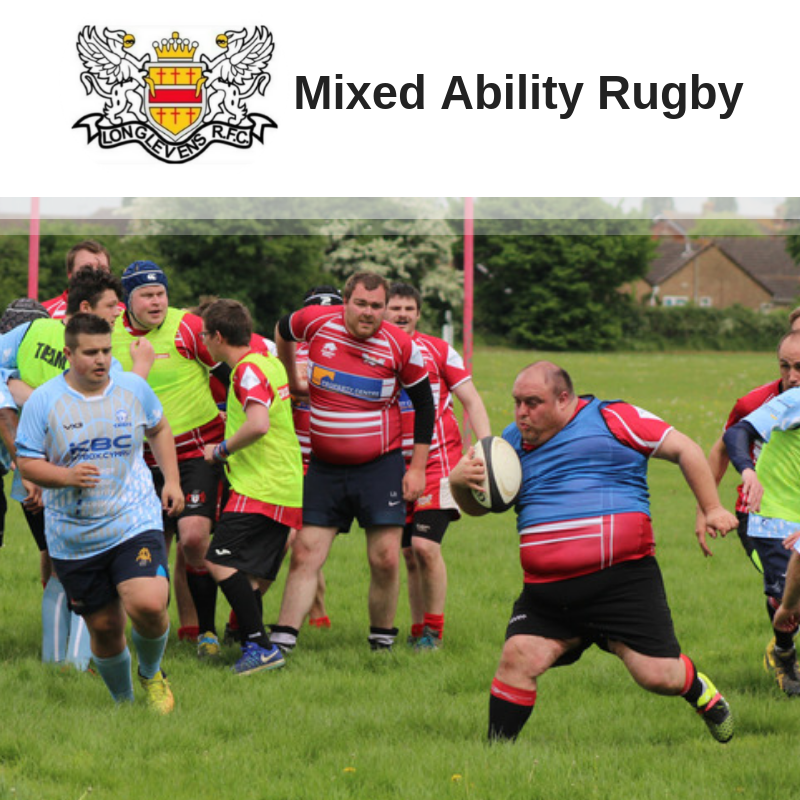 Julian Jenkins, Managing Partner of Dee and Griffin Solicitors said, ‘we were made aware of the project from the start and it is amazing to see how there was once no provision for mixed ability rugby in the local area, but now I can visit Longlevens RFC and see anyone play the great game regardless of ability’. Dee and Griffin were able to provide resources to set in place the organisation, infrastructure and funding of the project. The round robin tournament was a perfect end to the project and was an enjoyable afternoon for all involved. The firm maintains professional indemnity insurance in accordance with the rules of the Solicitors Regulation Authority. Details of the insurers and the territorial coverage of the policy are available for inspection at our offices.